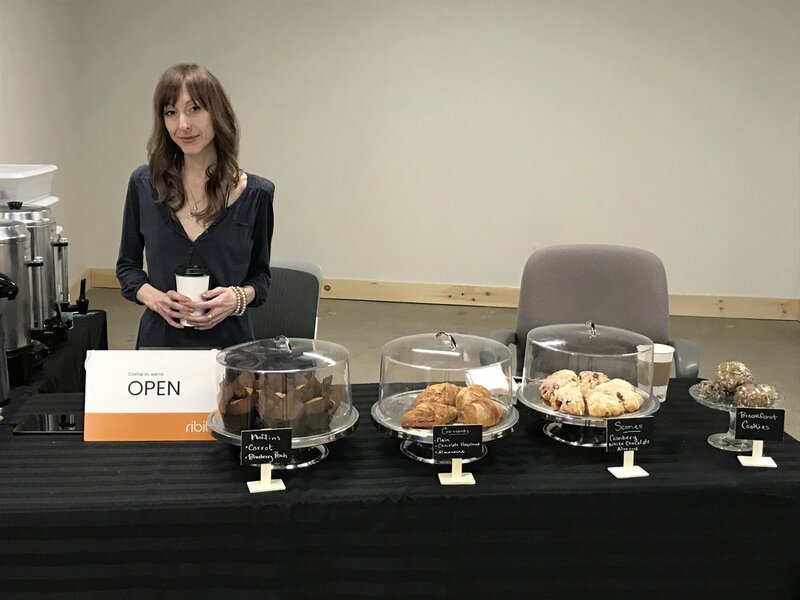 Local café Amusé Coffee Co., which opened its first location at 641 George St. in 2015, has now also opened a "pop up" location for its authentic Paris-inspired charm of fair trade organic whole bean coffee and baked goods in the main lobby of the VentureNorth Building in downtown Peterborough. Owner Lindsay Brock will be serving Amusé products on Mondays and Wednesday from 9 a.m. to 1 p.m. with the hopes of eventually being there more days. Amusé Coffee Co., which sprung out of the FastStart Peterborough program for budding entrepreneurs, continues to serve Fair Trade Organic whole bean coffee, premium loose tea, and a range of baked goods and brunch options with a French-feel. The VentureNorth Building is located at 270 George St. N.